Take up your lightsaber and become a Jedi. 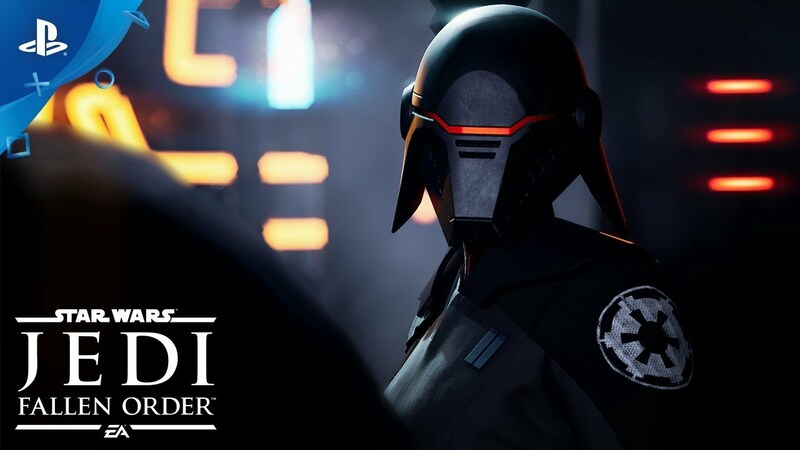 Jedi: Fallen Order delivers the fantasy of becoming a Jedi through its innovative lightsaber combat system – striking, parrying, dodging - partnered with a suite of powerful Force abilities you’ll need to leverage to overcome obstacles that stand in your way. This combat system is intuitive to pick up, but takes training and practice to fully master its nuances as you gain new powers and abilities along your adventure. As a former Padawan on the run from the Empire, you must complete your training before Imperial Inquisitors discover your plan to revive the Jedi Order. Aided by a former Jedi Knight, a cantankerous pilot, and a fearless droid, you must escape the evil machinations of the Empire in a story-driven adventure. Explore and overcome a wide range of challenges focused on combat, exploration, and puzzle-solving. Ancient forests, windswept rock faces, and haunted jungles are all unique biomes you’ll explore in Jedi: Fallen Order, with the freedom to decide when and where you go next. As you unlock new powers and abilities, opportunities open up to re-traverse maps in new ways; leveraging the Force to augment the way you explore. Move quickly, however, as the Empire is actively hunting your every step in their effort to exterminate all remnants of the Jedi Order. Get unique in-game content and the behind-the-scenes features. Pre-order STAR WARS Jedi: Fallen Order to outfit yourself with unique cosmetic equipment for your lightsaber and droid companion. Pre-order the Deluxe Edition to also receive all of the unique pre-order bonus content.